Soft tissue fillers are popular injectable treatments used at Summit Dermatology to restore facial volume and fill hollows that occur as a result of aging, weight loss, scarring, or injury. Fillers work by replenishing essential volume that is lost from beneath the skin due to the natural aging process. These non-surgical treatments are highly effective at refreshing and balancing the face to take years off your appearance with instant results and very little to no downtime. We currently offer patients hyaluronic acid gel fillers such as Juvederm®, Voluma®, Volbella®, Vollure®, Belotero®, and Restylane®. Because it is natural, it integrates smoothly into the skin with minimal side effects. We also offer bio-stimulants that are collagen-stimulating like Radiesse® and Sculptra®. 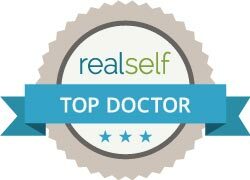 All soft tissue fillers are performed by board certified dermatologist, Dr. Jessica Kim. The right filler for you will be determined during your thorough consultation. Board-certified Dermatologist, Dr. Kim, will closely examine your skin and facial structure to develop a customized treatment plan for achieving your personal goals. We specialize in blending multiple filler types for a highly personalized approach to each patient. When men and women come to Summit Dermatology for filler treatments, they are looking to restore their youthful appearance, so they can feel like themselves again when they look in the mirror. We share this sentiment and always strive to achieve natural and elegant results – not too filled or overly treated. Our goal is to help you achieve the most natural, vibrant version of YOU and then maintain that youthful look for years to come. At Summit Dermatology, board-certified dermatologist Dr. Jessica Kim performs all filler treatments to ensure meticulous technique and the best possible outcomes. Administering each syringe in a slow and careful manner, Dr. Kim can deliver natural-looking results while taking care to minimize bruising. If bruising does occur, we offer complimentary laser treatment to minimize its appearance. As always, at Summit Dermatology, your results and satisfaction with the entire treatment experience is our priority. If you’re considering filler treatment but a fear of needles is holding you back, Dr. Kim can discuss DermaSculpt during your consultation. DermaSculpt is a micro-cannula “injection” to deliver fillers in a new way. A micro-cannula slides under the skin for easier, more pain free and more bruise free placement of dermal fillers. A micro-cannula is a very thin, tiny, flexible hollow tube with a smooth round tip. The sharp end is gone! Instead of many needle sticks, we only need a very few to provide entry points for the cannula. That means fewer needle marks, less pain and far less probability of bruising. Micro-cannula injection requires a single entry point for a large area instead of many as occurs with a traditional needle. Because the tip of the cannula is smooth and rounded, small vessels are simply pushed out of the way instead of being cut – so instead of pain you’ll most frequently experience little more than pressure. HOW DOES THE MICRO-CANNULA GET INTO THE SKIN? An entry point is made with a traditional needle that is slightly larger than the micro-cannula. If desired, Dr. Kim will use a small amount of lidocaine to numb the area. Then the micro-cannula slides under the skin to the areas to be treated with filler. HOW MANY ENTRY POINTS WILL I REQUIRE? For an upper and lower lip, only two – one at each end of the lip area. These same entry points can be utilized for filler in additional areas around the mouth and even into the lower cheek area. For a full lower face rejuvenation (cheeks, lip, mouth area, chin), you will likely have 4 points of entry. IS A CANNULA NOW USED FOR ALL INJECTABLES? No. Sculptra and neurotoxins (Botox Cosmetic, Dysport, Xeomin) are still injected with a standard needle. No, you could still bruise. Anyone taking aspirin, ibuprofen, vitamin E, fish oil or blood thinners still have a higher risk of bruising. But even with the existing potential for bruising, the incidence of bruising and severity are dramatically reduced. Replacing the sharp tip for a round one makes a huge difference. We would love to see you for a private consultation to offer a personalized treatment plan. Contact Summit Dermatology to schedule your appointment.